Your Fairbanks Highlight Adventure begins right at your Fairbanks accommodation. During your guided adventure, the first stop will be the Morris Thompson Cultural & Visitors Center–Fairbanks premier visitor stop. The Morris Thompson Cultural & Visitors Center welcomes you with great exhibits about Interior Alaska as well as a Gateway to Fairbanks year-round activities. 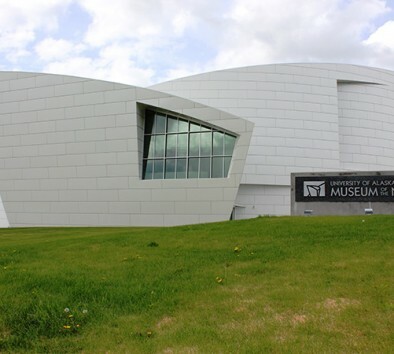 Next, it is on to the University of Alaska Museum of the North where dramatic architecture and new exhibit galleries make the museum an extraordinary destination. At the University of Alaska Museum of the North, discover fascinating stories about Alaska’s cultures, places, and wildlife. Our last stop will be where it is Christmas year-round and where we will find Santa at his home in North Pole. The Santa Claus House is full with Alaska and Christmas souvenirs. View the world’s largest standing Santa Claus statue and visit Santa’s reindeer.